The lineup for the 2019 Levitate Music & Arts Festival is out! 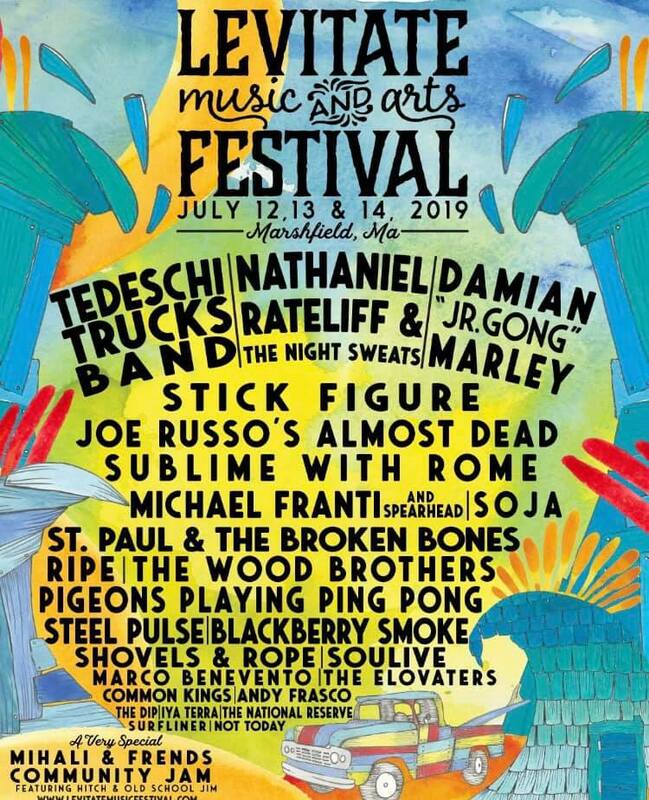 The 2019 Levitate will be located at the historic Marshfield Fairgrounds in Marshfield, MA during the weekend of July 12 – 14. Headliners include Tedeschi Trucks Band, Nathaniel Rateliff & The Night Sweats, Damien “Jr. Gong” Marley, Stick Figure, JRAD, Sublime with Rome, Michael Franti & Spearhead, and many more rounding out a very jam, funk, and reggae heavy lineup!